So how much does skiing cost? The answer to that question depends on many different components and varies greatly depending on which resort you go to, whether you are staying in a catered chalet, are self catering or staying in a hotel, and of course the time of year that you go. Add into the equation your flights (whether you book them yourself with a budget airline or book a package holiday) and ski hire and ski lift passes and you can see how the picture can get quite complicated. These costs are of course all approximate and are per person, giving a total of around £1100. Add in a bit of spending money for lunchtime vin chaud and the evening when you have to dine out, and you could be getting closer to £1300. Remember as well that the cost of accommodation and flights can vary greatly depending on when you book them. It could be well worth factoring in the price difference if you plan to dine out a lot. 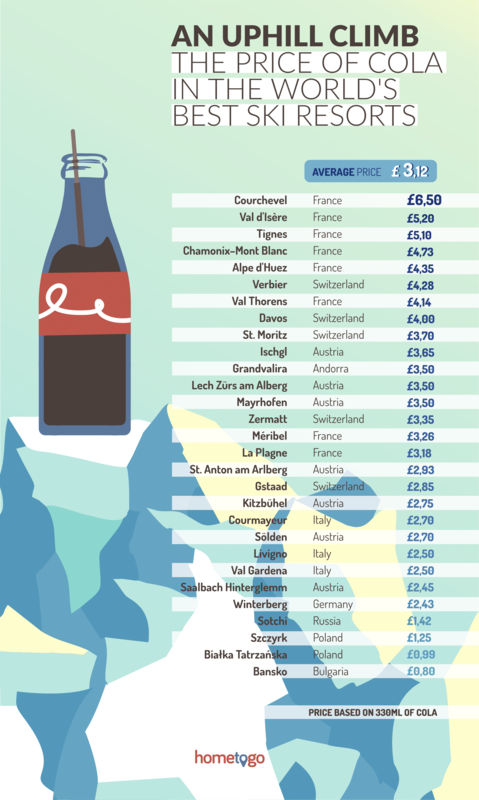 As a French example, Courchevel would appear to be 104% more expensive than La Plagne, or more than double the price! As an example of total costs, our week in Moraine in 2016 in a fully catered chalet is costing well under £650 per person, although that excludes lessons and the transfer from Geneva to the resort has been included in the price of the chalet. Factor in the amount that you’ll be saving by having evening meals and wine and beer covered by the cost of the chalet, and it can be very good value! You can pay considerably more for a catered chalet in late February / March when you tend to get the most amazing weather and you tend not to get blow off the slopes or caught in blizzards or fog! There are of course some viable alternatives to skiing in France, with the Balkan states, with the likes of Bulgaria and Slovenia now offering the cheapest skiing holidays in Europe. Companies such as Balkan Holidays offer trips to these countries, and it’s probably best to opt for a package holiday to these destinations. Many ski holiday firms like SilverSki also have late availability offers and cancellations through the skiing season and these can be very good value, with chalet accommodation and flights for under £500. The cheapest late season offers they had for the 2014/15 season were just £319 with catering, flights and transfers! We’ll be posting offers like these on the website as we hear of them.